Coega Development Corporation has become South Africa’s fastest expanding Industrial Development Zone, making history during the past year by securing a double-digit number of investors. Industrialization has been one of South Africa’s most vital developmental components. 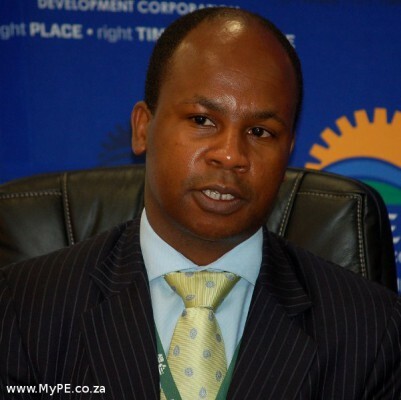 Coega Development Corporation (CDC) has recently set the record for securing 10 investors in the 2013/14 period. Situated in the Eastern Cape, the rapidly expanding industrial zone is bringing world class investment to the area. Established in July 1999, Coega saw its first investor take residence in 2007 and has been rapidly expanding, attracting world class investors, technology and skills. Under the current leadership of CEO Pepi Silinga, Coega is achieving targets never seen before in a South African Industrial Development Zone (IDZ). BBQ spoke to Silinga about Coega and its outstanding achievement. 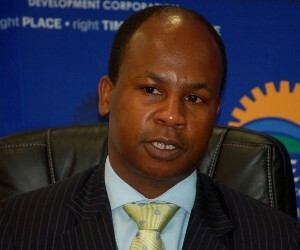 According to Silinga, the double-digit investment figure has been the result of hard won investments. “As the Coega Development Corporation (CDC), we manage the country’s oldest and leading IDZ, which recently became the first IDZ in South Africa to record a double digit number of investments valued at just over R1.8-billion in one Financial Year (FY), namely the 2013/14 FY. Signing 10 new investors from a cross-section of industrial sectors is a remarkable achievement. This has been one of my proudest moments – especially given the constraints in the global market place. “I have always said that the only way to eat an elephant – or the perception of a white elephant – is bite by bite. In our case, it has been investment by hard won investment. By the end of 2014, we will have 28 operational investors in the Coega IDZ; a further five or so will be under construction and about the same number at the Environmental Impact Assessment (EIA) phase,” Silinga says. Christopher Mashigo, Coega’s business development executive manager, says Coega’s ascent over the past three years has been “beyond remarkable” given the mercurial investment climate. Mashigo reflects that the target “became a call to action, a magic number.” Some said it was suicide in a performance arena that condemns failure to achieve. “Pepi Silinga wanted us to dream an impossible dream in a changeable economic climate – a dream that would turn everyone into a salesman,” Mashigo says. The entire commercial and business development teams, including executive management, the chief executive and board were put on perpetual standby to bring home conversions. Part of the problem, says Mashigo, was the volatile expansion and contraction of the pipeline – a trend that needed to be reversed to convert prospects into signed investors. “The challenge required creative innovation in deal-closing that was not standard.” Mashigo says, adding that business development managers’ scorecards were weighted heavily in favour of developing the pipeline, at one fifth of their overall score. Other highlights in Coega’s success include the signing of the Chinese auto company First Automotive Words (FAW), Agni Steels and DCD Wind Towers. Silinga mentions that he is particularly proud of Coega’s Corporate Social Investment (CSI) initiatives, especially the driver training programme which is training thousands of young and disadvantaged. “Through CSI, we are reaching beyond the IDZ and giving back to communities that have given the CDC its societal licence to operate. Last year, we invested more than R17 million on projects that focused on education, skills development and training – the core elements of our CSI,” Silinga says. For Silinga, the success of Coega’s journey has been their consistent ability to remain dynamic in the face of challenges. From a strategic standpoint, Coega has managed change positively and the main outcome has been their expansion into the role of Implementing (delivery) Agent on major provincial infrastructure projects, including schools, hospitals and roads building initiatives. “What this means is that we are able to use the skills and experience gained in building, maintaining and operating the Coega IDZ to help drive infrastructure development in the Eastern Cape and specifically. This expansion positively affects our revenue stream and makes the CDC more sustainable,” he says. Managing their reputation is a critical goal for the CDC. Silinga mentions two major aspects that need to be considered here. “Firstly, it is important to remember that the development of the Coega IDZ was premised on a 50-75 year plan. We are 15 years into that plan – and really in development terms we are doing quite well far exceeding expectations; you only have to look at how long other IDZ’s in the world took to achieve maturity. Coega is currently in the fortunate position to have indisputable evidence of the hard work put in on the ground. Human capital has also been a challenge in the Eastern Cape, but as per Silinga, the real potential for mega-projects on the horizon, the brain drain will hopefully be reversed. He says there are opportunities to tap into the knowledge and expertise of retired professionals, many of whom live in the Eastern Cape. Silinga says that when it comes to training, Coega is conscious of its context. “We have always been aware of the socio-economic environment in which we are based. We have always been committed to running programmes to close the gap between the skills demanded by investors and the skills available in the region. We have a dedicated unit, Human Capital Solutions, which administers training and skills development initiatives. “Coupled with the fact that our 28 investors have created thousands of IDZ jobs – construction and operational – for community members, this is a testament to our investment attraction efforts and speaks to the reason we have IDZs in the first place. To date the CDC has created over 51 000 jobs. Moreover, in the past 11 years, it has trained around 60 000 people,” he concludes.